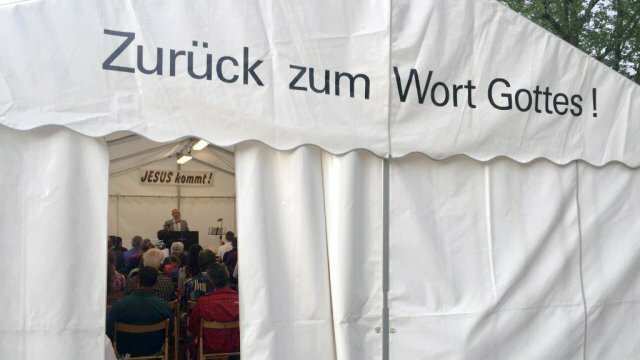 Since 1974 we have tent missions and have visited several German cities. Our goal is to find God's lost sheep and to bring them into the presence of the Redeemer and LORD Jesus Christ. Only in Him we find redemption, the longed-for rest and security. The dates for next summer you will find on "home" or you can ask us. We are supporting overseas mission in Africa, Asia and East Europe spiritually and financially according to our possibilities.